An online Housing Land Map has been launched by Housing Minister Simon Coveney as a key part of the Rebuilding Ireland initiative. The interactive portal aims to provide users with details of residentially zoned lands, local authority owned and Land Aggregation Scheme sites, publicly owned sites with potential for housing development, and active private housing construction sites in the Dublin region. It represents a vital initial step in the new State Housing Land Management Strategy being developed under Ireland 2040, the National Planning Framework. The map is the result of the collation of data by the Department of Housing, Planning, Community and Local Government from local authorities, the Housing Agency, and other State and Semi-State bodies. The data sets being released today include details of over 700 local authority and Housing Agency owned sites totalling some 1,700 hectares, as well as 30 sites (200 hectares) owned by State or Semi-State Bodies, the latter in the Greater Dublin Area and other major urban centres. 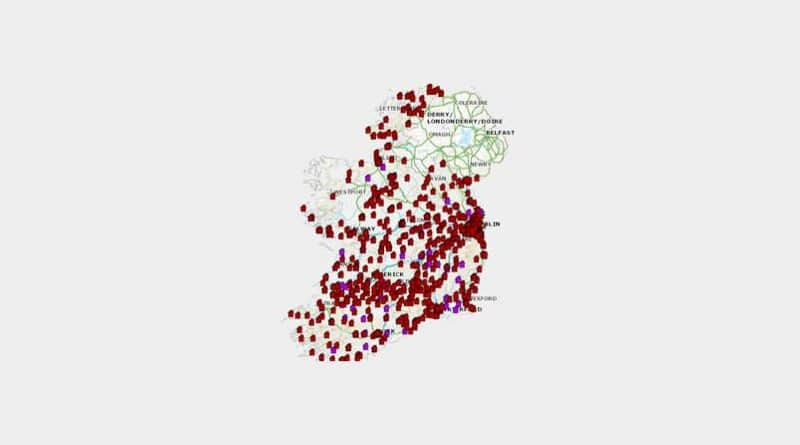 The map also shows the locations of 144 active sites, encompassing some 5,200 new dwellings which are under construction in the Dublin region. Revolution Slider Error: Slider with alias StelradBN17 not found. The Minister commended both South Dublin County Council and Dublin City Council for their proactive approach in bringing forward four key sites that will deliver up to 3,000 much-needed social and affordable homes. These sites are located in Kilcarbery (South Dublin), and Infirmary Road, Emmet Road, and Oscar Traynor Road (Dublin City). Rebuilding Ireland has committed a €200 million Local Infrastructure Housing Activation Fund (LIHAF) to open up lands for early development, greatly enhancing existing measures in relation to construction growth, with a guarantee to double the completion level of additional homes in the next four years to 25,000 on average per annum. 47,000 social housing units are also to be delivered under Rebuilding Ireland’s plan by 2021. Today’s launch marks the first phase of the map, with work underway on collating further data layers such as social housing construction projects and private housing construction projects, which will be added over the coming months.